The Coventry Resource and Senior Center offers comprehensive services to all residents of the town of Coventry. Our staff, both professional and paraprofessional, provides directly or makes arrangements/referrals for the following services: outreach, information, support services, case management, socialization, recreation, education, health services, advocacy, transportation, volunteer opportunities, nutrition, and fitness. The center is a complex consisting of a reception area, coffee shop, gift shop, multi-purpose room, seminar & activity room, dining room, administration/social service offices, nursing office and billiards room. Project Friends, a state of Rhode Island licensed day program for adults with developmental disabilities, is housed in the Coventry Resource and Senior Center. The senior portion of the center offers a Senior Nutrition Program known as the Café for those 60 and over or adults with disabilities. Each Café offers at least two of the three meal choices daily. The “spa option”, for the health conscious, features lighter fare such as a main course salad. The “pub option” offers a sandwich for those who want a traditional, wholesome lunch. And the “hearty option” provides a full, hot lunch for those who prefer their main meal at midday. Reservations are required. Meals on Wheels is also coordinated and delivered on a daily basis through the center serving home bound individuals in need. Coventry Cares Volunteer Program offers a range of opportunities for people who want to help their fellow residents. In addition, the Coventry Community Food Bank located at 191 MacArthur Blvd., operates under the umbrella of the Coventry Resource and Senior Center. 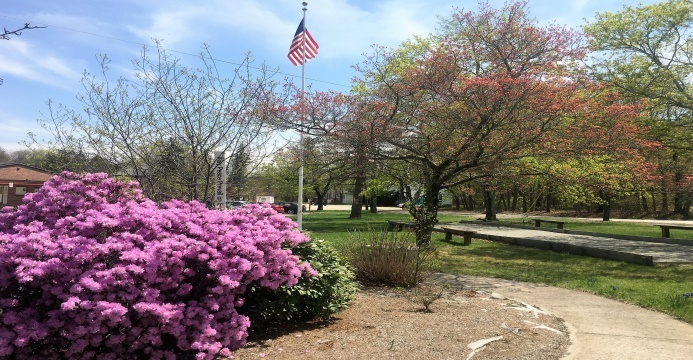 The Coventry Community Garden, located in front of the Town Hall Annex on Flat River Road, provides produce to the Coventry Community Food Bank as well as volunteer opportunities for residents to assist with garden maintenance. We are looking forward to the construction of our new building in the near future which will allow us to offer additional services and programs to all residents.